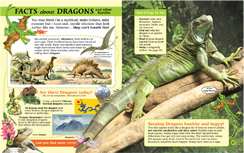 Welcome to Chameleon Not just for Kids Books. 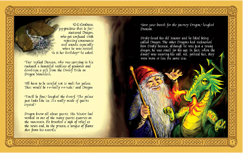 Books that are more than just a story - a reading, learning and creative adventure. 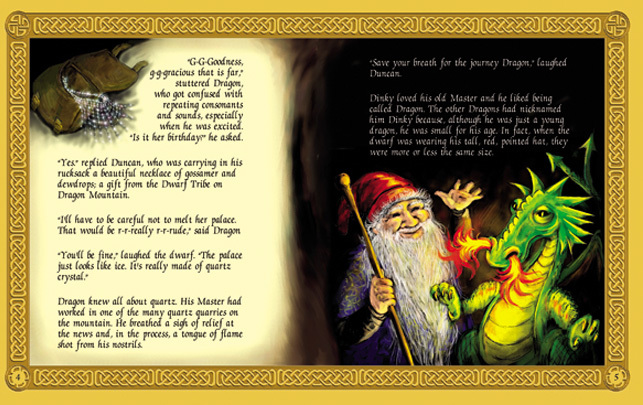 Illustrated in different, colourful styles to delight both young and old. Start collecting the 3 in 1 series. 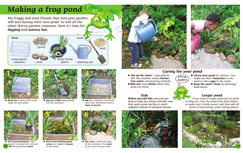 Ideal for playgroups and early school grades. Contact us for any possible specials in your area . We would love to hear from you. 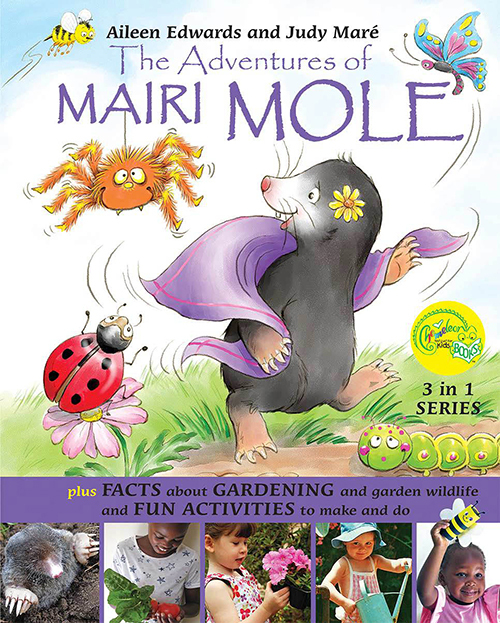 A delightful, rhyming story about Mairi the Mole who digs her burrows under Anne's lovely lawn and visits her veggie patch. 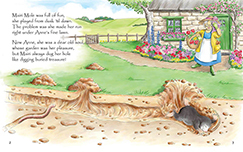 While playing above ground she has a close encounter with Steven the cat but escapes to the neighbouring farm field. Here she is luckily found by Monty Mole who takes her home to live with his family. 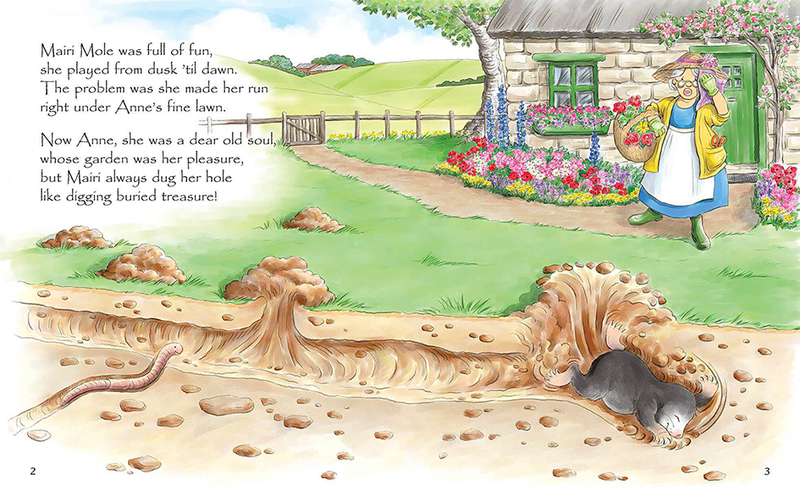 One day while playing in the corn they have another lucky escape from Steven the Cat and Monty Mole once again comes to her rescue. Mairi Mole marries her saviour Monty in a lovely wedding with all her friends from the garden invited and she finds her happy ever after. The story ends with a fun filled board game, Mairi's Lucky Escape reliving Mairi's adventures - suitable for the whole family. 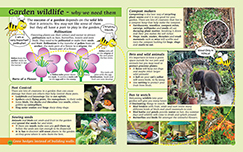 A ten page Fact section about gardens and garden wildlife. 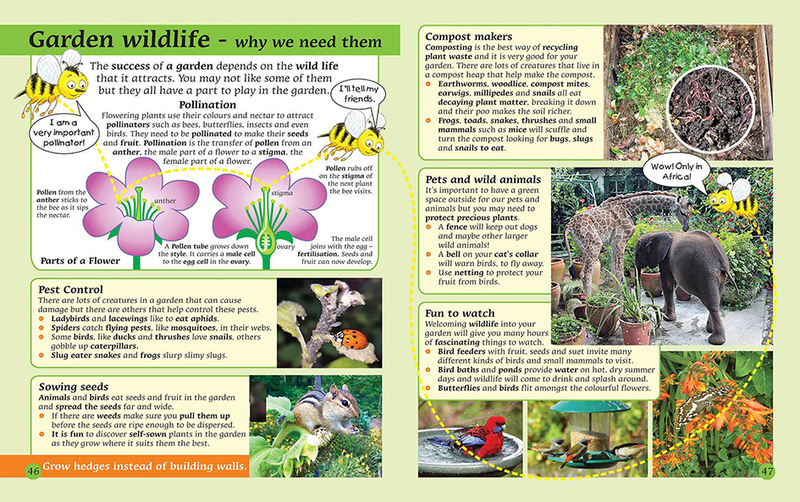 Why we need gardens and the importance of their wildlife for pollination and compost creation. 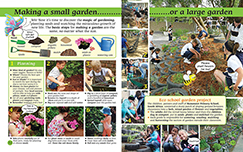 Also included are the indigenous garden zones around the world and the effect of seasons with detailed photographs and interesting facts. Eighteen pages of things to make and do. 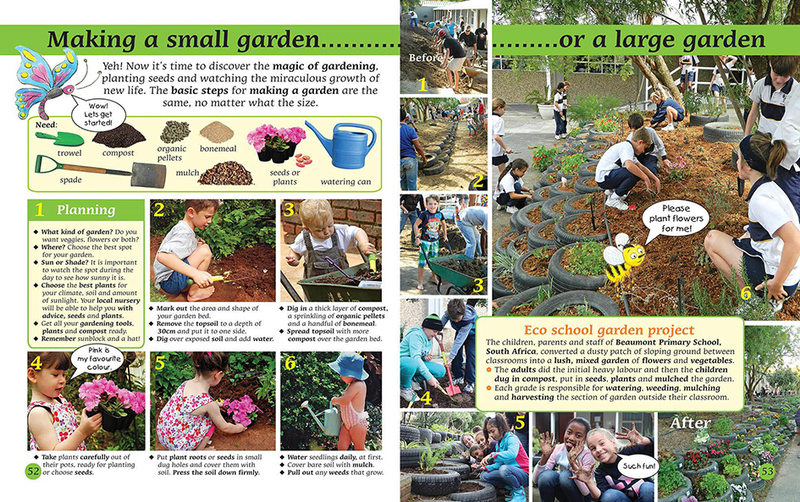 Creating gardens, baking, colouring-in, making flowers and garden critters and loads more. 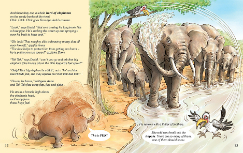 A colourful, illustrated story about a leopard cub that has been born in a game reserve in South Africa. Everyone is very happy - BUT - the little leopard has lost her spots. Who could have stolen her spots? David and Anna try to solve the Mystery of the Missing Spots with the help of their friend Tok Tok. 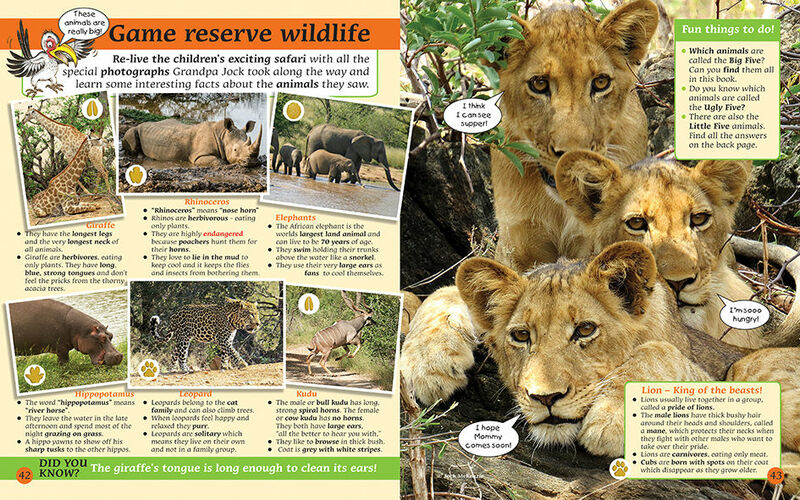 As they follow the clues given to them by the animals in the game reserve, they learn about animal behaviour and conservation. 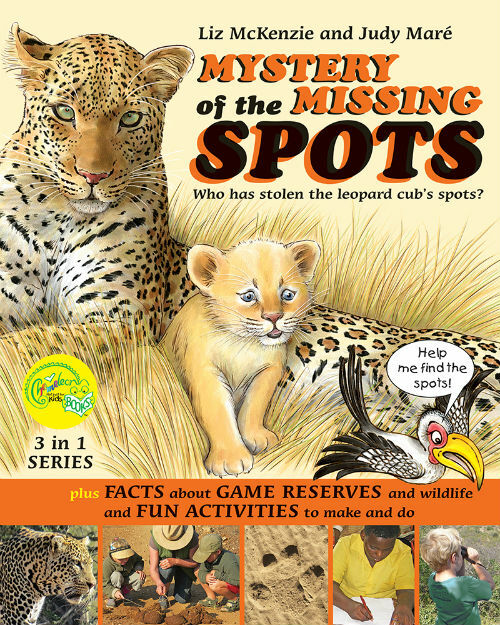 The story ends with a fun filled board game, Finding the Spots, reliving the children's exciting game drive - suitable for the whole family. 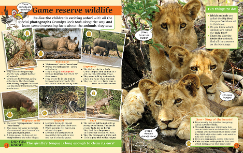 A ten page fact section about Game Reserves - why we and especially the animals need them. 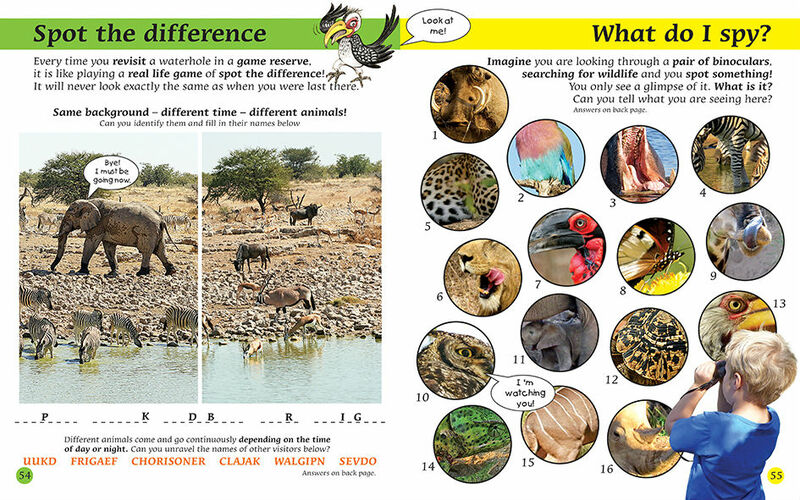 Learn about some of the wild life the children saw while they were trying to solve the mystery. 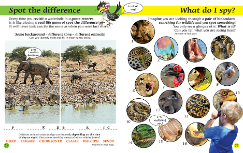 Eighteen pages of wild life inspired things to make and do. 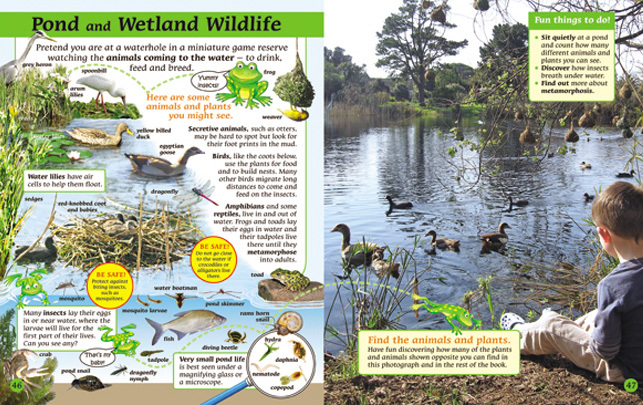 Including how to make a journal or record of wild life sightings, animal searches, mazes, colouring-in and a game ranger game. 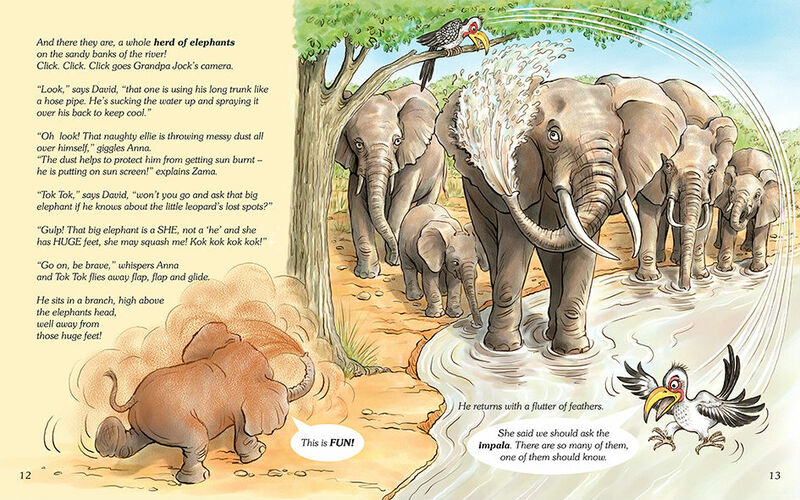 A delightful, illustrated story about an orphaned baby rhino that is rescued during the filling of Kariba Dam in Zimbabwe. 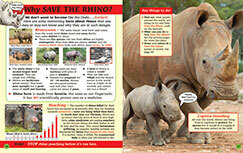 The little rhino is taken home by the Vet, who was part of Operation Noah and raised by his wife. He loves to play with the children and the many animals but he also loves to eat. 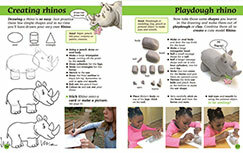 Discover the fun of living with a young playful Rhino as he grows and grows. 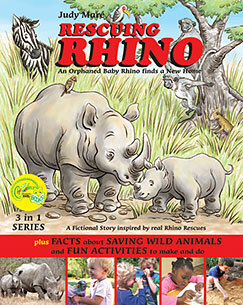 Then the time comes for him to be a wild rhino and find a new home back in the wild African bush. 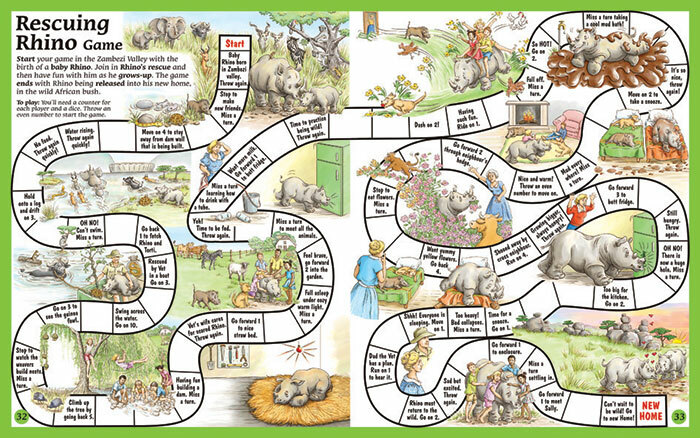 The story ends with a fun filled board game, Rescue Rhino, reliving what happens to baby Rhino after he is rescued - suitable for the whole family. 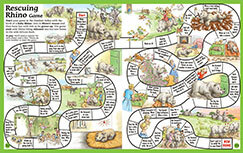 Learn all about the world of wild animals and how we need to protect them. From caring for orphaned baby animals, rehabilitating them and finally releasing them back into the wild to the terrible plight of the worlds Rhino. 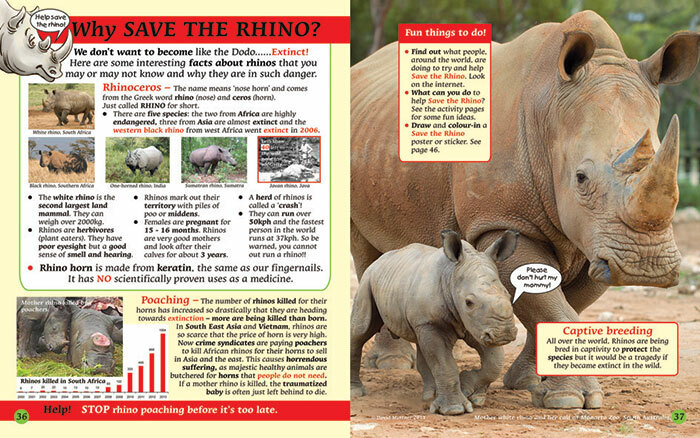 Eighteen pages of fun things, all Rhino related, to make and do. 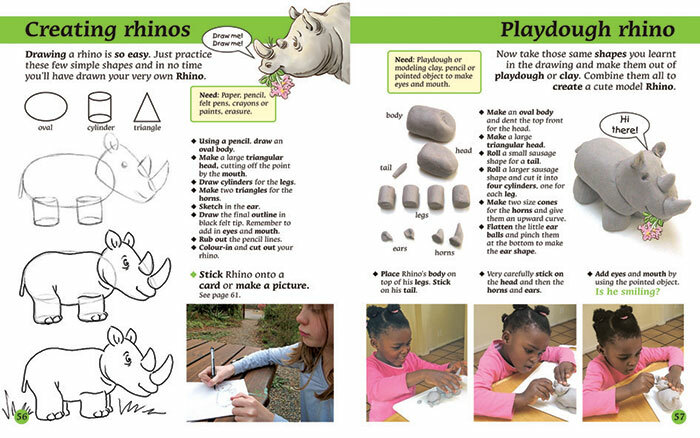 A chance for kids and parents / teachers to get creative together and help make a difference in rhino awareness. 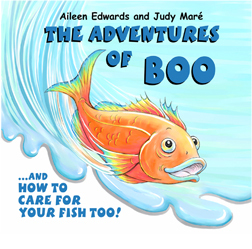 A colourful, illustrated story about a little boy, who accidently loses his pet fish, Boo, while attempting to change the water in his bowl. 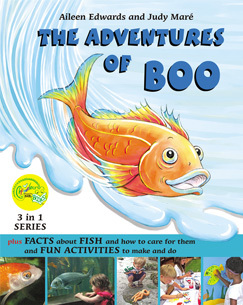 The boy is heartbroken as his fish dissapears down the toilet. Boo, however, after a scary journey reaches the sea. 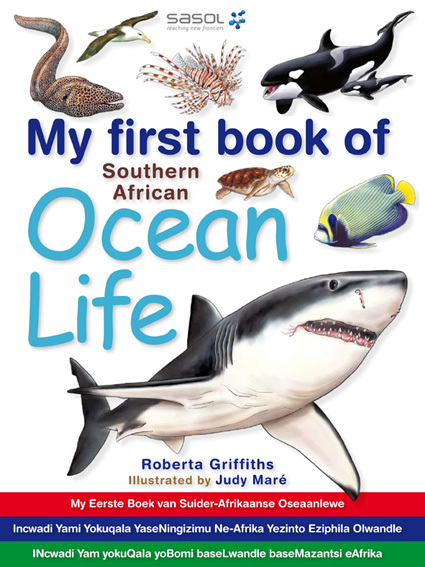 He had been very lonely swimming in his bowl but as he explores the ocean he meets many amazing creatures makes lots of new friends. 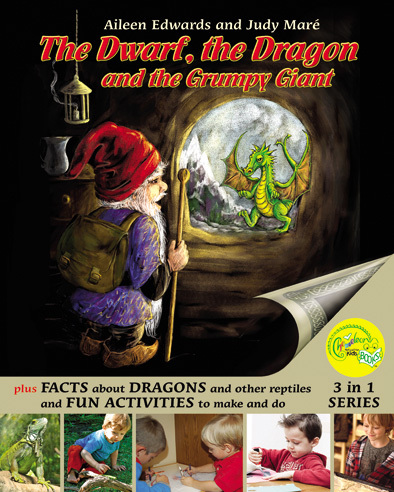 Soon he finds himself having another really scary adventure but his new friends come to his rescue and all is well. 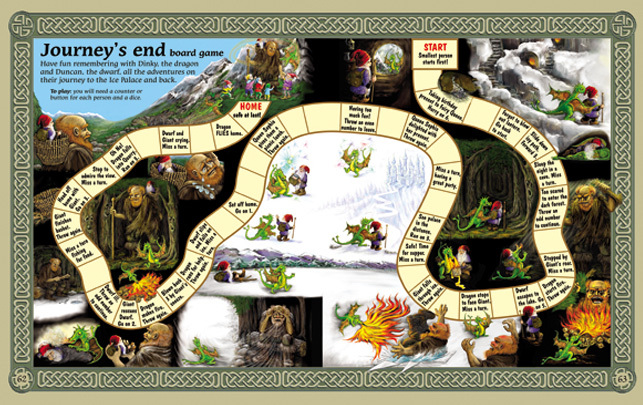 The story ends with as fun filled board game, Boo's Great Adventure, reliving what happens to Boo - suitable for the whole family. 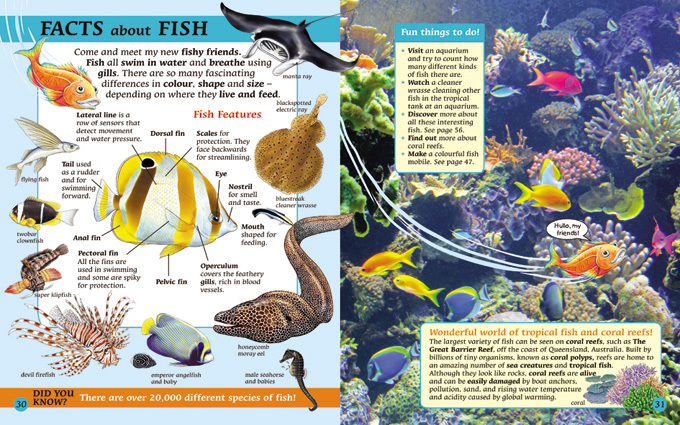 Learn all about fish and how to look after them and other creatures in aquariums and the sea, with detailed photographs and interesting facts. Sixteen pages of fun fishy things to make and do. 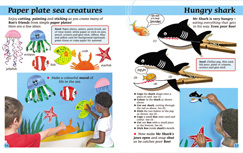 Cutting sticking, baking and loads more for kids and parents or teachers to do together. A colourful, illustrated story about a sad tadpole, who is unhappy with the way he looks and he doesn't know what kind of creature he is. 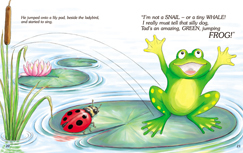 As he grows, his friends in and around the pond, try to cheer him up but without success. His tail starts disappearing and panic sets in as he doesn't know what's happening. However his friend, the goldﬁsh, thinks she has the answer. 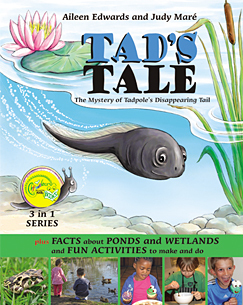 A very HAPPY tadpole then discovers the world is a wonderful place. 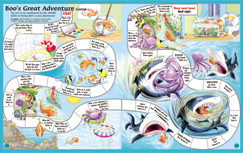 The story ends with a fun ﬁlled board game, Magical Metamorphosis, reliving what happens to a tadpole as he grows up - suitable for the whole family. 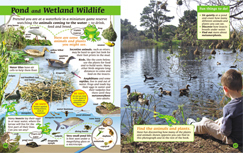 Discover the cool, watery, muddy, boggy wonderland of Ponds and Wetlands with detailed photographs and interesting facts. 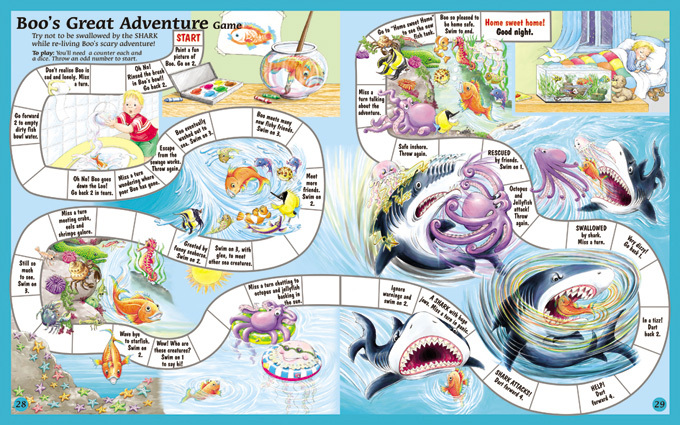 Eighteen pages of great activities. 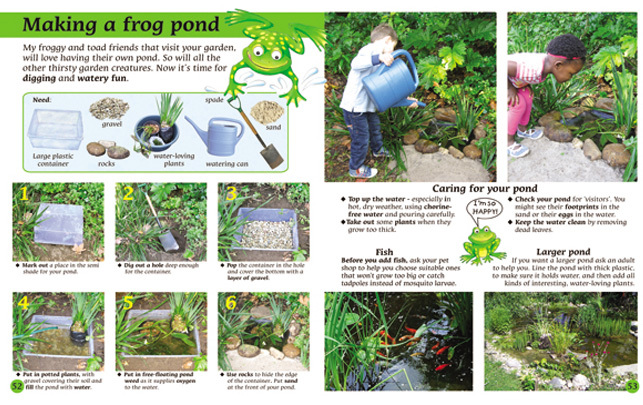 Cutting, sticking, baking and loads more froggy fun for kids and parents or teachers to do together. 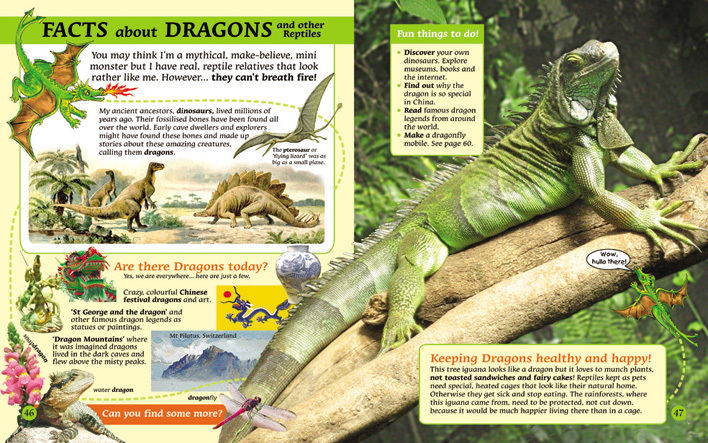 chameleons with colourful, detailed photographs and interesting facts. 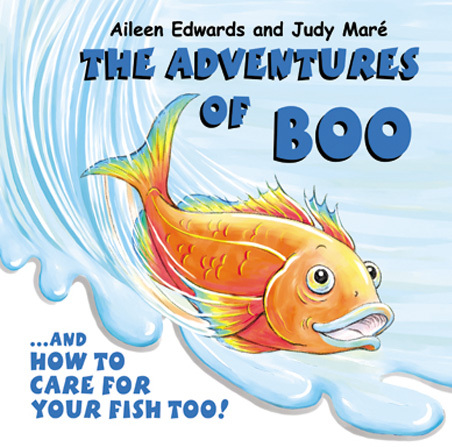 The Adventures of Boo and how to care for your fish too! 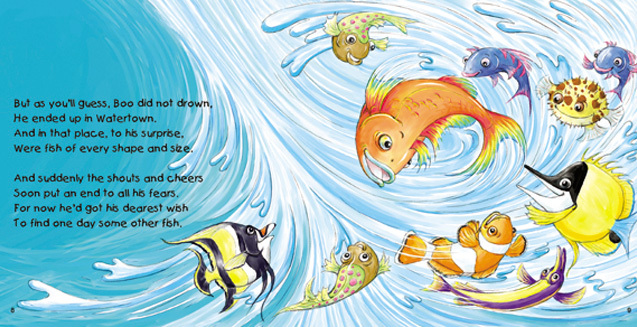 This children's book is about a pet fish who accidentally ends up in the ocean, where he embarks on an exciting sea adventure, meeting many new fish friends along the way! 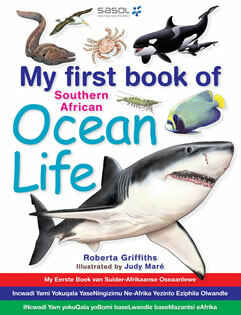 Young children will enjoy discovering the 58 fascinating ocean creatures in My First Book of Southern African Ocean Life, which range in size from the earth's largest animal - the blue whale - to the tiniest plankton. 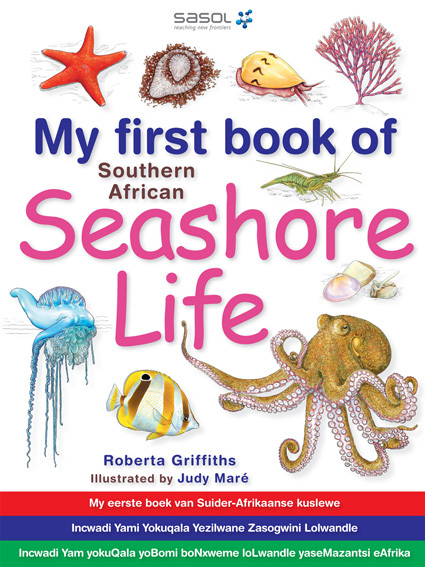 My First Book of Southern African Seashore Life is one of the latest titles in this successful children's series. 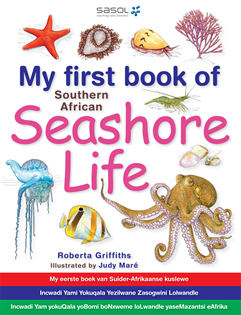 The book presents 58 sea creatures and plants that are likely to be seen at the shore. 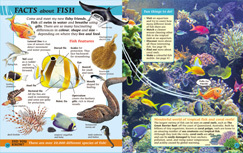 Visual clues about the creatures' diet, size, distribution round our coast, locomotion and exactly where they live relative to the water line.